The aim of this WP is to define and analyse the main aspects of the project’s other WPs. More specifically, outcome 1.1 of WP1 will be important for obtaining the outcomes of the other WPs outcomes on time and for realization of arrangements of activities. This outcome will be obtained in the kick off meeting involving all participating academic EU partner universities. During the kick-off meeting Project Quality Assurance Committee will be defined to monitor and control project work plan activities implementation via special report templates and report events, it will be comprised of one EU partner –P2 and one representatives of each partner country. At the kick-off meeting the Steering Committee will be confirmed. At the same time, the project management strategies and monitoring arrangements will be presented and all the defined tasks will be approved by the project team. Confirmed Steering Committee will organize a short time discussion meeting during the annual meetings for discussion the quality assurance, monitoring and management. In the kick off meeting U.PORTO will make a presentation on Bologna process to all CA participants so, they can share their knowledge in their home universities. Moreover, purchasing of the equipment for the running administrative and teaching tasks in master program will be discussed and presented in this meeting too. Outcome 1.1 will be developed by all EU partners in each six months for easy monitoring and managing. 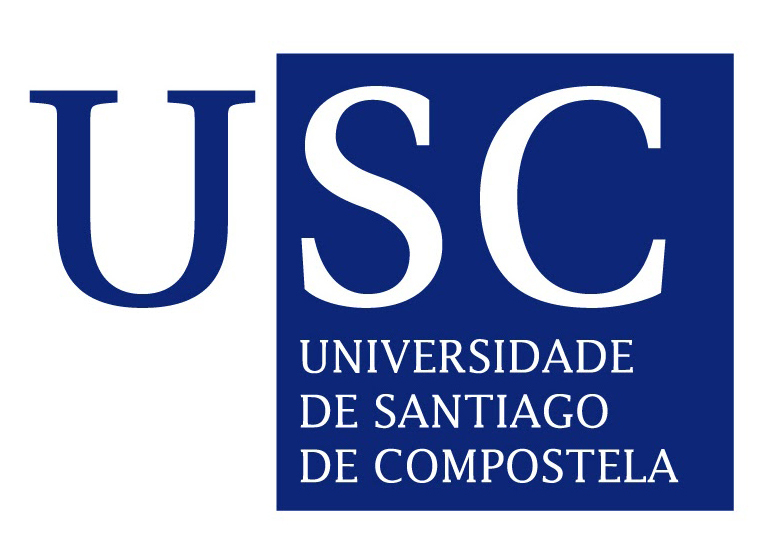 Outcome 1.2 of the current work package is devoted to obtain the analysis of the interdisciplinary international master program on Computational Linguistics which the further outcomes will be laid down. Especially, outcome 2.2 of WP2 relay on the outcome 1.2. Until the project`s third month, AMU, NUUz and ENU partners’ project team will analyse the methodology and approaches of the teaching and the contents of computational linguistics master program in order to give instructions for the curriculum development and syllabuses of master program. Within the WP2 and WP3 the competence building of academic staff on the development of the NLP tools for Uzbek and Kazakh languages and using NLP tools in teaching via blended learning will be executed in English. So, main resource for the academic staff will be English in the trainings for executing of the activity. Introducing the NLP tools in training will be explained with English language. Moreover, text corpus, Word net, which is going to be developed for Uzbek and Kazakh language, was built on English language, therefore for transferring to Uzbek and Kazakh language the specialist should know English. In this purpose, the training on enhancing morphological, syntactic and semantics knowledge in English will be carried out in all CA partners before the trainings in EU partners. In the project realization the specific hardware and software is required. All the partners are supposed to purchase the same amount and type of the equipment. The equipment cost developed in an optimal and effective way under the discussion of all partners. The most significant and reasonable items were included in the equipment list. 1.1 Action plan on developing Interdisciplinary program. 1.2 Analysed international master programs. 1.4 Equipment for administrative and teaching issues. This WP is crucial for the effective implementation of the project and to reach the specific objectives of the project on time successfully. WP involves developing qualification description, curriculum and curriculum content materials of master program. In WP1 AMU analyses the content of international master programs, which is the outcome 1.2, and provides all the CA partners with necessary information and report about the requirements and needs for the curriculum development. Based on these reports and instructions all CA partners will compose the description of Competence model of a Computational Linguistic graduate. The curriculum of the educational program will be developed appropriately in English, Uzbek and Kazakh. But as the analysed curricula are European curricula based on Bologna process and deals with ECTS, CA partners will need a conversion system of ECTS for the local academic hours which curriculum will be developed in. In this part three partners of consortium have a rich experience in this conversion system which was developed in currently running “Establishment of Computing Centers and Curriculum Development in Mathematical Engineering Master program” / ECCUM project in the framework of CBHE Erasmus+. After curriculum development the qualification description development will be done by U.PORTO in English language. As the qualification description includes all necessary requirements for the master program, it is closely linked with the curriculum. The developed curriculum and qualification description will be approved by the all partners at first semetral meeting which will be held in NUUz. Master program involves also blended learning technology in teaching and supervising in the education system. It obviously requires the academic staff to have enough knowledge, experience and skills for using blended learning technology together while delivering the course content of Computer Linguistics to the students. As master program will have close relationship with existing NLP tools the academic staff should also know how to use these tools directly in teaching process. That is why, this WP requires training of teaching staff in teaching with blended learning methodology using already existed and developed open source NLP tools which plays crucial role in the master program. 5 members from each CA partner university will be sent to UDC for the realization of this training. Involving EU partner university with all CA partners will contribute to the integration of the master program with high level quality and to provide the sustainability of the master program in the future. The curriculum, syllabuses and teaching materials will be developed in English, Uzbek and Kazakh languages by March 2019. After completion of the accreditation process of the curriculum in all CA partner universities, there will be carried out the enrolment procedure for master program. The number of master students will be 35 according to the given quote to each CA partner university. During the project development this number was identified by the project partners based on yearly average quote of each CA university by today and this number might change according to the decision of the Ministries of Education. This activity will be supported by the Ministry of HEIs of Uzbekistan and Kazakhstan and Higher Education authorities. The graduated master students provide the sustainability of the master program after the project life time as they could be next specialists and researcher on CL and continue their study. Three partners of the consortium (USC, UrSU and KSU) are already collaborating in the Capacity Building project “Establishment of Computing Centers and curriculum development in mathematical engineering master program- ECCUM” which was funded in 2015. As this project also involves curriculum development, some advices and suggestions were proposed by USC, UrSU and KSU during this project development. These three partners using already obtained knowledge and experience during ECCUM project and the fact that the most part of the curriculum was contained of the independent work hours they proposed that the Independent work hours also will take the most of the curriculum of this CLASS project. So under these suggestions and previous project impact and advantages it was decided to use the blended learning via opening online courses. In result, the online courses will be needed to create on specialized blended courses. Moreover, in developing the outcome 3.1 UrSU and KAZNU partners have great experience in creating the online courses for effective teaching through working collaboratively in CANDI project- (Development of Distance and E-Learning Based Higher Education in Uzbekistan in Framework of International Collaboration) of TEMPUS program. Laying down on this experience and the consultation on teaching competency and infrastructure for e-Learning for open online courses by CESGA, CIEEI and NITEC, the outcome 3.1 of the current WP will be obtained by all CA partner. Creating open online courses will be controlled by AMU for ensuring the quality of the outputs and successful implementation of these open online courses to the master program. Consulting activity on teaching competency and infrastructure for e-Learning for open online courses outcome 3.1 of the current WP will be carried out via video conference by CESGA, CIEEI and NITEC, in order to minimize the costs and expenditures. The content of the proposed project will also focus on providing training and opportunities for research in parsing, sentiment analysis and information retrieval, NLP, as well as core aspects of computational linguistics such as computational morphology, and technologies like question answering and machine translation. Additionally, analysis of English as a bridge language in legal documents and an analysis of scientific tests to determine originality. The one of the main specific objective of the project is also develop the NLP tools which support the Uzbek and Kazakh languages. After developing the all necessity academic documents, capacity and materials it will be focused on to develop NLP tools. Here birth necessity to organize the training for CA partner university academic staff on methodologies and strategies for developing NLP tools and this training will be held in AMU partner university. After enhancing capacity of academic staff, this staff will participate in obtaining outcome 3.3 which is developed NLP tools. Outcome 3.3 is very important and it supports the sustainability of the project as it could be implemented in teaching master program continuously. AMU has a teaching staff on Kazakh language who is from Kazakhstan. 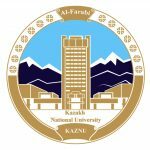 Therefore, in this case AMU partner have ability to supervise and monitor the NLP tools development in CA partner universities, as Kazakh and Uzbek languages belongs to one language family. 3.2 Trained staff for developing NLP tools. Within this WP each CA partner university will lead the dissemination activities of the developed master program. The dissemination sources will be associate partners, project website, video promotional materials, online courses, web site of the project and conference which held in the last semester meeting, etc. The dissemination will be at regional and national level. 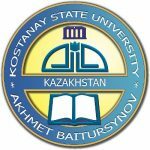 Ministry for Higher and Secondary Specialized Education of the Republic of Uzbekistan and Kazakhstan will offer and adopt the accredited master program curriculum content to all universities with Linguistics and Computer science master programs, which provides for the sustainability of the project after the project life cycle. Establishing dissemination plan and defining sustainability aspects will be realized by NUUz and KazNU. The web site is important for disseminating the project, presenting the executed activities of the project and demonstrating the obtained outcomes. For constructing the website of the project and management during the project lifetime will be responsible UniWA. UniWA is also responsible for creating video rollers on the implementation of the project and master program in Uzbekistan and Kazakhstan. For effective teaching using online courses and sharing the experience and knowledge, video rollers about the master program courses and the project will be created by CA partner universities too. These video rollers will be created in Uzbek, Kazakh, English languages. These resources can be uploaded to the web sites of the project and CA partner universities, together with the national educational portals such as www.ziyonet.uz, http://group-global.org/en; and https://yvision.kz/. All CA partner universities will be involved in the activities of developing e-books and methodological books on specialty CL courses in Uzbek and Kazakh, English languages for prospective students distributed equally among the Uzbek and Kazakh partners. It is mentioned in development package that EU partners will be responsible for CA partner universities in developing the curriculum content materials. So using experience and knowledge in the development package activities provide the quality of the created methodological and e-books. These activities’ outcomes will be shared to other HEIs of Uzbekistan and Kazakhstan via academic channels between HEIs and national educational portals. Creating e-books and methodological materials is also the most helpful dissemination source for introducing the master program to other HEIs in Uzbekistan and Kazakhstan. Later these e-books and methodological books will be delivered to other HEIs electronical libraries, which provide also the sustainability of the project. Together with these, in last semester meeting there will be organised a conference which is a great opportunity to involve the interested researchers from IT and linguistics staff to discuss the challenges they face in the development of the new software tools, and to do joint research works. Moreover, for promoting the course there will be used the local television programs, publishing the project via sub-contracting costs. The trained teaching staff will organize seminars and trainings to other HEI in order to present and share the obtained experience and introduce the developed course. Therefore, the realization of the current WP activities is related to the WP2 and WP3 outcomes. As one of the outcomes of implemented master program will be master students and developed teaching materials in three different languages, which support the sustainability of the project. This WP also involves the internships of master students at CIEEI, KRLDO, NITEC and Khorezm Mamun Academy. They also provide with the final projects and the consultations in their research field. All over management of dissemination and providing the quality of the sustainability of WP4 will be controlled by NUUz and KazNUUas they are the base national universities of Uzbekistan and Kazkahstan respectively. For successful realization of the project, it is obligatory to have the quality control and monitoring throughout the project duration resulting in project quality assurance (QA). During the kick-off meeting Project Quality Assurance Committee will be defined to monitor and control project work plan activities implementation via special report templates and report events, it will be comprised of 1 EU partner UDC and 1 representatives of each partner country. Operative monitoring will be done by country coordinators – UrSU and KSU via monitoring quality control of work progress within each partner university and submitting reports to the project coordinator, Project Quality Assurance Committee. Project Quality Assurance Committee reports to Steering Committee. All coordinators constitute Steering Committee. Steering Committee is responsible for monitoring feedback, preparing and implementing any actions to improve the project performance. This WP produces three deliverables which are focused on establishing criteria, tools and procedures for quality assurance of curriculum and teaching materials and evaluating the project in terms of both internal and external. So, QA will be carried out in internal and external levels. Overall quality assurance on developed master program curriculum and materials conducted in itinerary during the whole lifespan of the project, constitutes a regular quality assessment aimed at verifying the project relevance, quality of curriculum and its content, efficiency and impact of trainings, quality of teaching materials and developed tools, financial feasibility and sustainability. The main target group participating in overall quality assurance consists of SC members which are established with one member from each partner university. Analysis of the first two semester meeting and second annual meeting reports will be crucial for the next executing activities and successful implementation of master program, because within this period the curriculum and teaching materials will be developed. Ministry for Higher and Secondary Specialized Education of the Republic of Uzbekistan will also be important target group in charge of the QA of curriculum monitoring in Uzbekistan, in Kazakhstan this responsibility belongs to Ministry of Education and Science of the Republic of Kazakhstan. They generate internal QA suggestions on the process of the curriculum development activities of the project which is aimed at verifying customization of the developed curriculum to the national educational standards. The internal quality monitoring outcome is necessary for designing of all outcomes and outputs within WPs with good quality and launching master program in the second year of the project on time. All local coordinators will be responsible for internal quality assurance monitoring for distributed WP activities, afterward they will submit reports and suggestions to the QA WP manager with the help of video conferencing, emails and some kind of social networks. Then, analyzed overall internal quality monitoring reports will be presented to SC in each regular online or face to face semester and annual meetings. With internal quality assurance, it is available to identify eventual weaknesses of the project and in result to identify opportune adjustments. The expert from EU university recommended by more experienced EACEA will be invited as external expert to annual meeting twice during the project life cycle, which gives conclusive quality judgement aimed at the assessment of the project and its final results in terms of efficiency and efficacy. External QA reports will be generated at the end of each project year and will be reviewed by the main coordinator - USC and the Steering Committee in annual meetings. External evaluation may be also the starting point for the planning of future activities. Experts of National Erasmus+ Offices (NEO) in Uzbekistan or in Kazakhstan will be also invited to participate in the evaluation of the project as external experts in each semester meeting and to give external opinions on project progress. UniWA will be responsible for controlling activities of Quality Plan WP. This WP is aimed at creating the well-defined financial and administrative management and installing internal quality monitoring procedures as well as the external monitoring via involving external experts from EU during the project lifecycle. Three deliverables will be obtained within this WP. The coordinating organization USC will handle the whole project management and financial administration with the constant support of other beneficiary institutions. USC will also be responsible for reporting and accounting to Erasmus+ Office. Criteria and strategies of the whole project management will be presented to all partner universities in the first kick off meeting. The kick-off meeting will also deal with establishing Steering Committee and PQAC, developing action plan, quality assurance procedures and general sustainability and dissemination polices. In the project management, Steering Committee containing from local coordinators plays main role as all partners will be equal in the project. In order to collaborate effectively and to reach the expected outcomes successfully by all partners, overall three annual meetings in EU partners for annual reports and three semester meetings in CA partners for the reports on quality assurance of the project will be organized during project lifetime. The meetings will involve SC and necessary project team members. In each meeting the action plan for the next six months will be developed and approved by SC. The administrative management will be obtained in terms of regional and local. The regional administrative management will be carried out by UrSU and KSU as the regional coordinators in Uzbekistan and Kazakhstan respectively. Regional coordinators will take care of the project management, relevant to supervising the monitoring and regular communication activities within proper region. They will be also responsible for organizing the semester meetings, arranging information and formal communications to discuss the quality assurance of the project implementation in region. Local coordinators will manage the dissemination activities and the distributed appointed tasks and its monitoring. They will give local management reports individually to the proper regional coordinators and SC. For providing the management performance it is also planned to provide the project documents and information regularly in the web-site of the project. 6.2 Defining local coordinators and project team. 6.4 Managing of each work package activities. 6.1 Financial and administrative management. 6.2 Regional and local management. 6.3 Management of each work package activities.